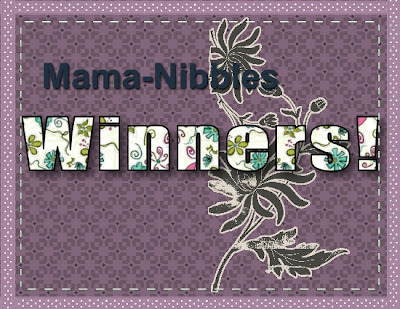 Mama Nibbles: New Winners Circle Tab! I have created a Winner's Circle tab so that I can keep track of all my lucky winners and so that all my lovely readers can stop in to satisfy their curiosity and see who has won! Also just so that everyone knows, recently I caught someone cheating on a giveaway. Please do not think you can get away with cheating, I check over my entries and will delete any cheater that I find. I strive to keep everything fair in my giveaways. Click this link here or find the tab under my header for the winners list.